A pile-up of cars parked at all angles outside this colorful, cash-only Spring Branch food stand is to be expected all summer long. The draw? 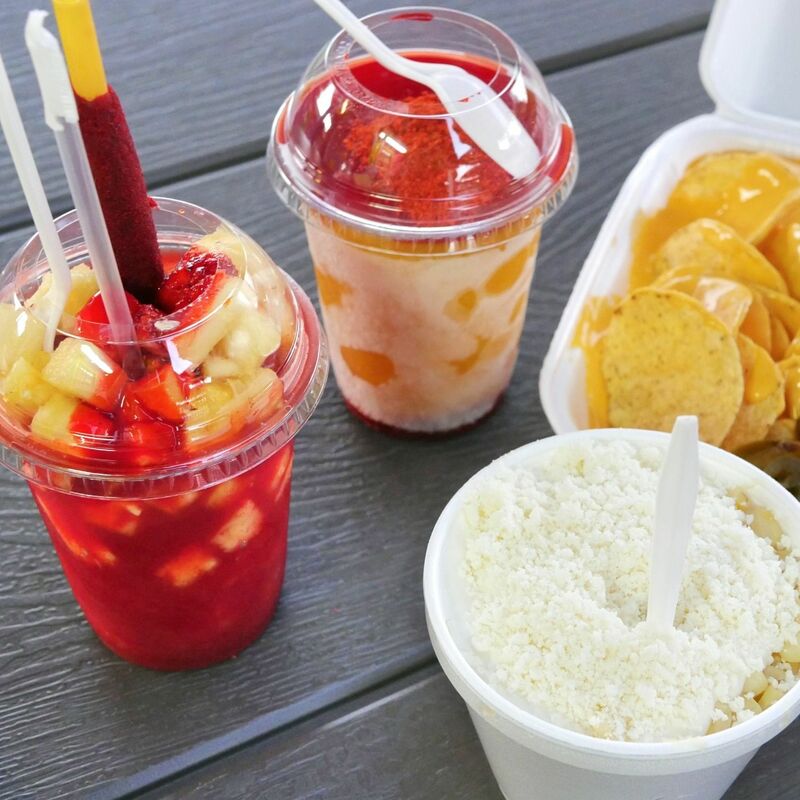 A huge selection of natural raspas flavors (tamarind, strawberry and mango are favorites) and Mexican street foods, from cacahuates preparados (spicy peanuts tossed with cool, crunchy cucumbers) to messy mounds of Dorilocos (nacho cheese–flavored Doritos topped with, among other things, gummy bears, pickled pork skin, jicama and hot sauce). Food stands are the perfect hybrid of restaurant and food truck. And where else would you get Doritos topped with gummy bears?